Lu Li received his B.Eng and M. Eng from Tsinghua University, China, and his Ph.D from the Katholiek Universiteit Leuven, Belgium. After four years of doctoral study and two years of post-doctoral work at the Department of Metallurgy and Materials Engineering, Catholic University of Leuven, Belgium. He joined the Department of Mechanical Engineering, National University of Singapore in 1991 and is a Full Professor. Dr. Lu is involved in the research of functional materials, mainly in two directions: i) materials for Li-ion rechargeable batteries which include traditional bulk batteries and all-solid-state batteries, and for supercapacitors, and ii) piezoelectric and ferroelectric materials. More recent years Dr. Lu has been heavily involved in development of thin film batteries, and Li-ion conductors for air-batteries. 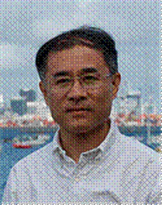 Dr. Lu is the Editor-in-Chief of Functional Materials Letters, and Associate Editor of Materials Technology particularly in charge of functional materials. He is also Chairman of Functional Materials Society.